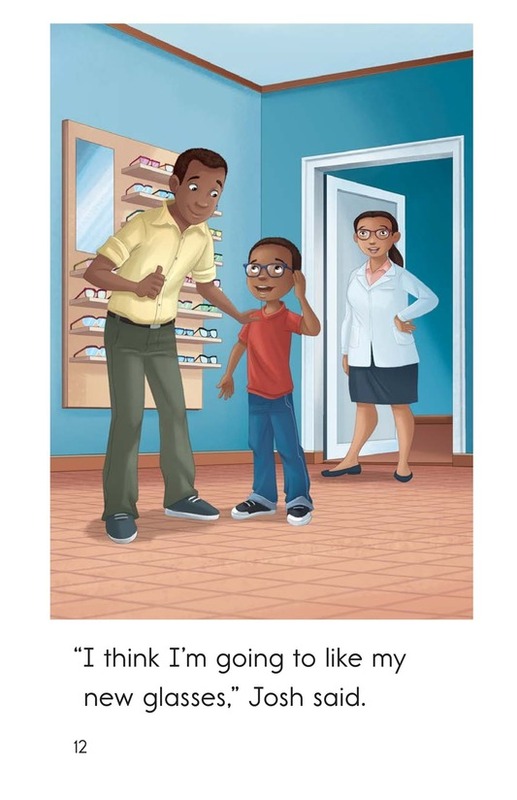 In Josh Gets Glasses, Josh is not happy about the prospect of wearing glasses. 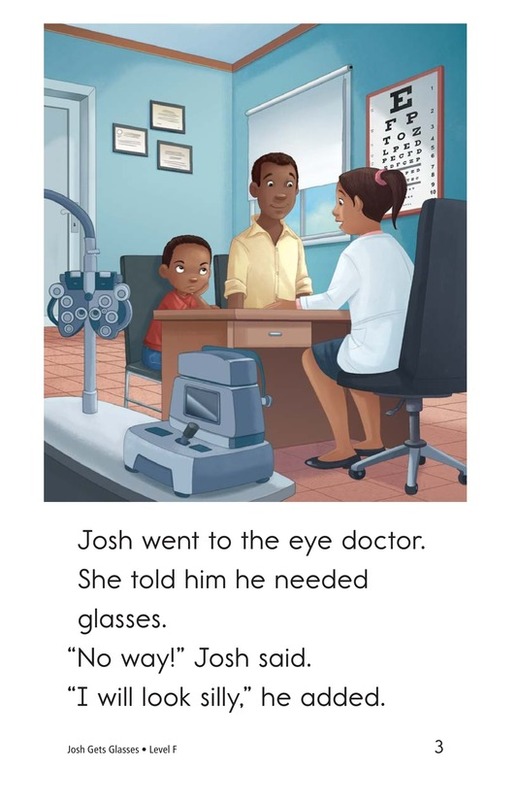 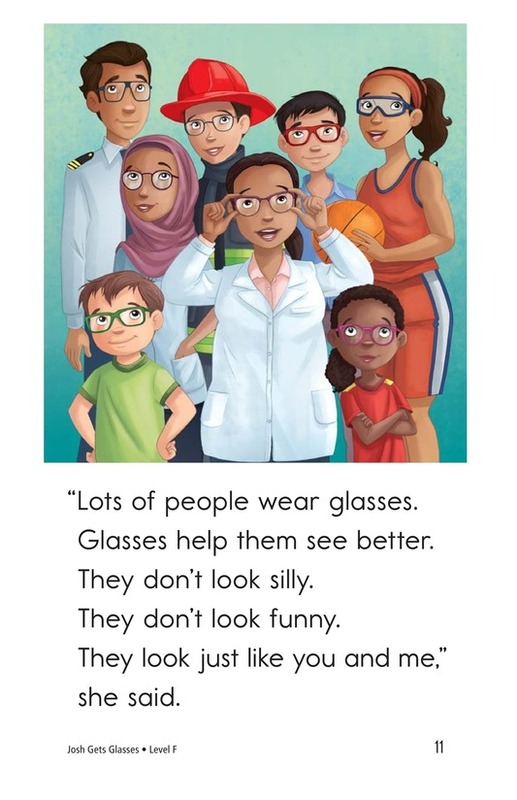 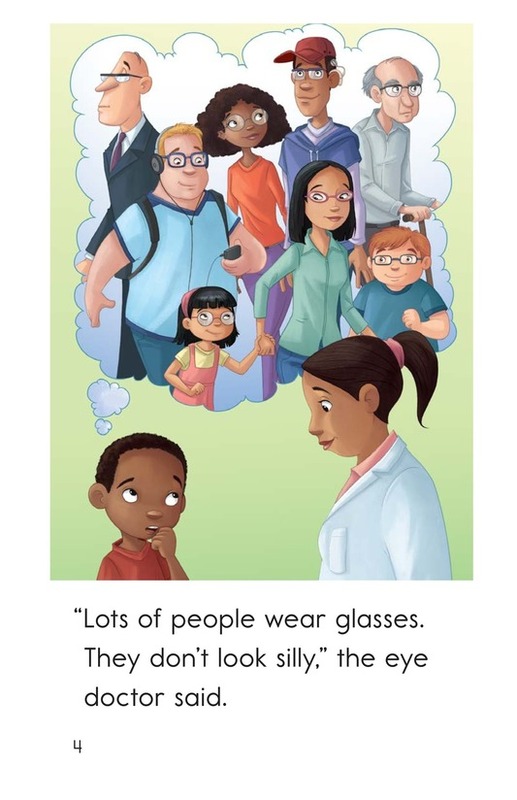 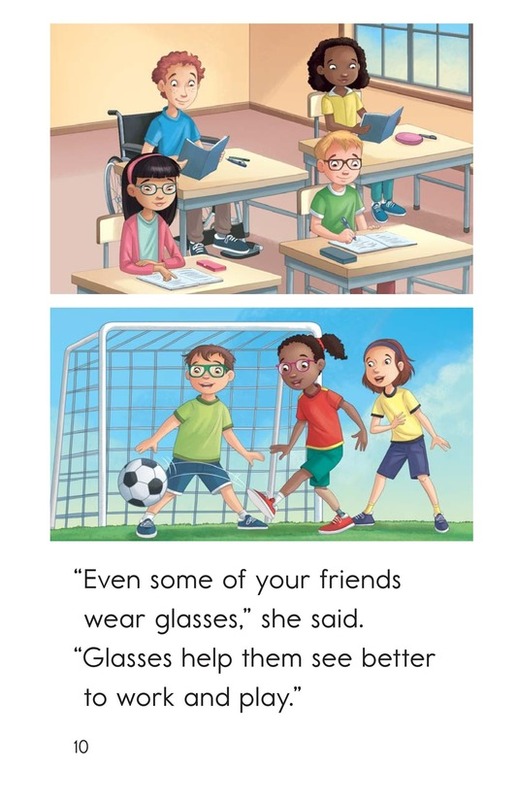 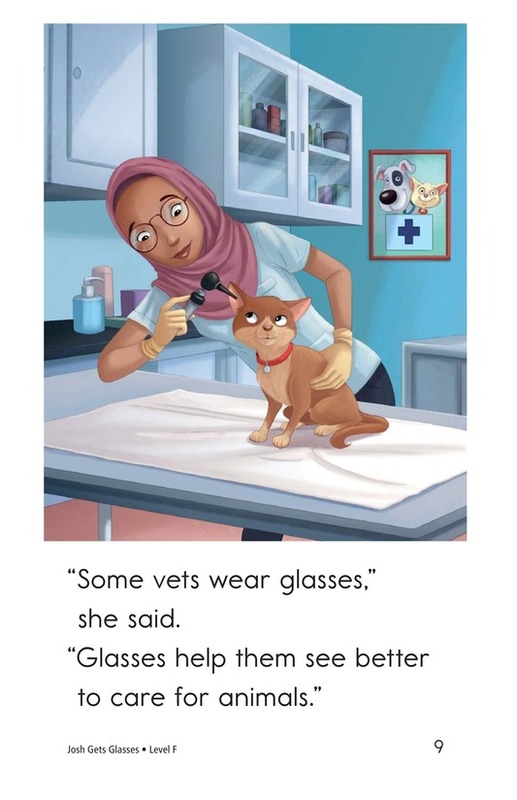 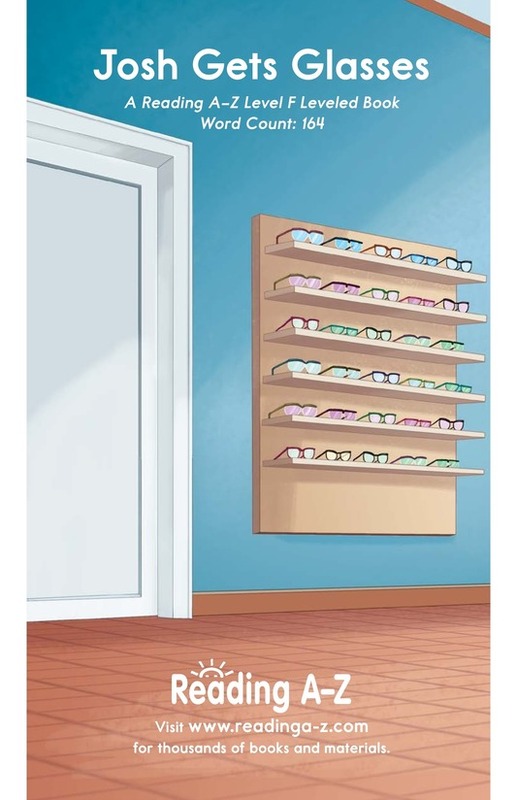 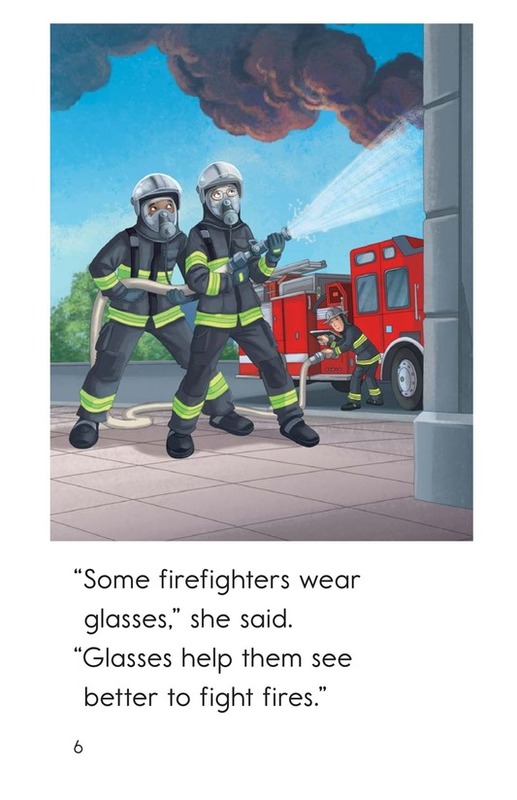 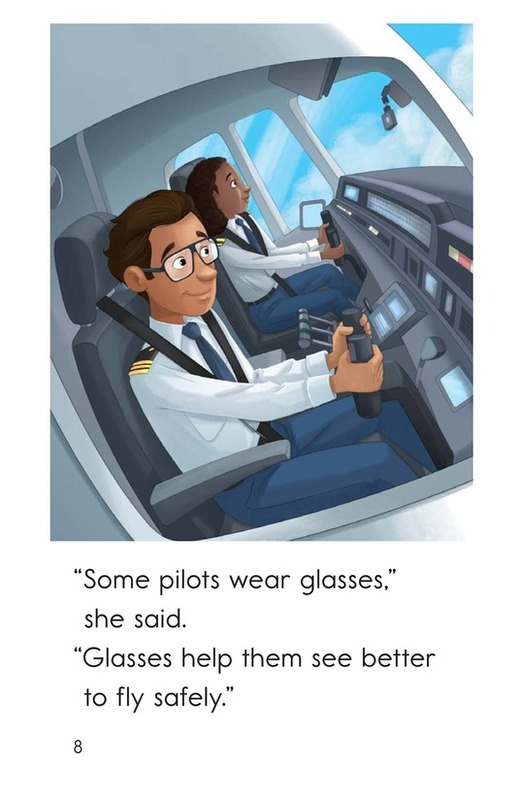 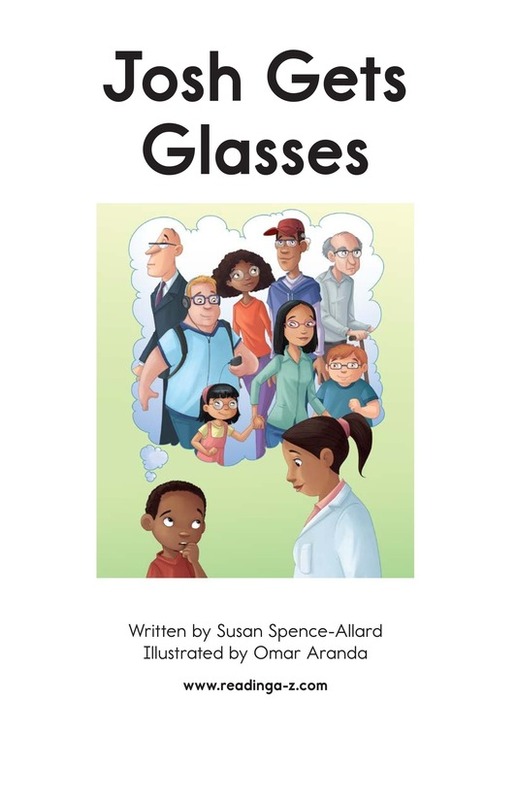 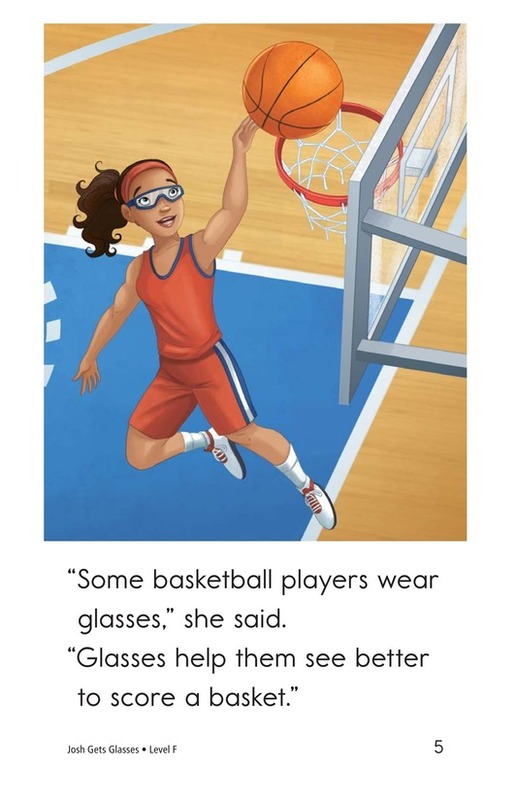 Josh's eye doctor explains that wearing glasses helps people perform their jobs and helps children do better in school. 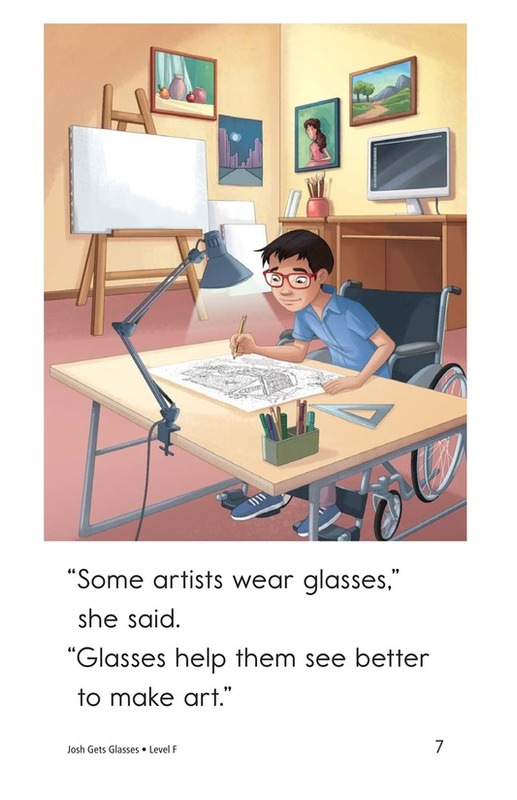 Josh decides that he might like wearing glasses after all.